If you look in parenting groups, playgrounds, and twitter feeds, parenting is portrayed as a phase of life to survive or a time when people who live together seem to shuffle agony around and around until everyone is slamming doors, complaining about screen time, and tearfully looking for a shoulder to cry on. And that makes sense. Most of us are ill-equipped and have no idea what we’re doing, other than the experience we remembered from our childhood, and our reactions and feelings we have with our kids. Why don’t my kids listen? Why don’t the kids clean up? Why don’t they realize if they do what I say everything will be easier? If you ask parents what characteristics and life skills they hope their children develop, it’s commonly a list that has traits such as: self-respect and confidence, showing social responsibility, being curious and having compassion for others, or to communicate well and be a problem solver. However, often as parents it’s hard to know how to navigate fights about teeth brushing and bedtime into opportunities to learn skills without causing fights, rebellion, or hurt feelings. If a goal of yours is to have a cooperative family, there are a few things to evaluate and a few phrases you could adopt. These are all adopted from “Positive Discipline” tools by Dr. Jane Nelsen. There are also common things parents do – because it’s what most of us were shown – that can end up causing more conflict and keep relationships from growing. Stop telling. If you are a parent who tells your child what happened, what caused it to happen, how they should feel about it, and what they should do about it, most likely your child is not able to absorb any of your “lessons.” When we give mini-lectures and explain poor decision making to our kids, their first reactions are to get defensive and block out the conversation. Instead of telling, try being curious. Conversational curiosity invites your child to engage in sharing their perspectives, which gives you an opportunity to listen and joins with them in finding a solution moving forward. So what usually happens when your child tells you something? Do you listen, do you start to explain, do you get defensive, do you lecture? Try listening. What I hear you say is… Is that correct? Try validating the feelings your child expressed in their story. That sounds very frustrating, and I can see why you would be angry about that. Try asking questions that can give your child more opportunity to participate, and can also lead them to find the creative solutions that get them to the desired goal. What ideas do you have to solve that problem? Telling: Go brush your teeth. Asking: What do you need to do so your teeth will feel sparkly clean? Telling: Don’t forget your coat. Asking: What are you bringing so you won’t be cold outside? Asking: What’s your plan for doing your homework? Telling: Hurry up and get dressed or we’ll be late. Asking: What can you do so we will be able to leave on time? Telling: Pick up your toys. Asking: What is your responsibility when you are finished playing with your toys? If we have goals for our children, they have to be given opportunities to develop the skills to reach those goals. And children often learn by observing much more than by listening to instruction. So we have to take an honest look at how we model the behaviors we hope they will have, and be forgiving as they go through the process of learning them. Giving someone the answer will never be as useful as helping them come to the solution themselves. And that is what parenting is – a guided world where we take care of our children, fundamentally and psychologically, in the best way we can. When our children misbehave, instead of believing they are naughty, spoiled, or a trouble maker, evidence shows that they are usually discouraged and are using a negative coping technique. If we can encourage our children with firm and kind reactions, and with dignity and respectful conversation, they are much more likely to grow and engage. Encouragement has the power to change brain chemistry and behavior. One way to begin this positive change is to take a look at our behavior and see if there is room to make a few adjustments too. Also, remember, your child is a child. They crave connection and belonging just like we do as adults, but they crave it most with you. 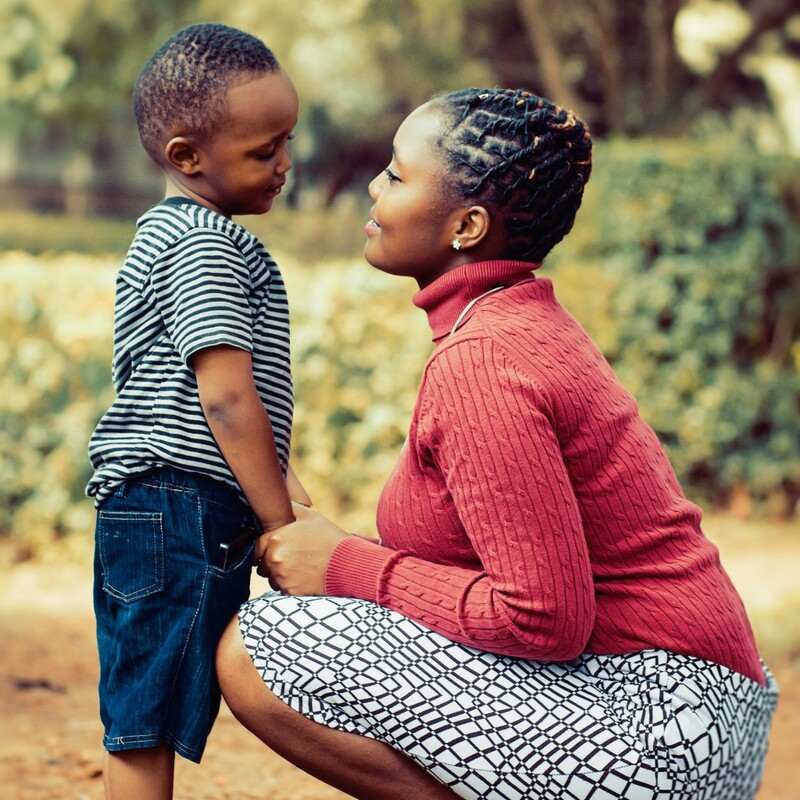 So before any corrective steps are taken, try connecting with your child in one of the most basic and effective ways: ask for a hug. Hugs are not rewards, and they are not evading conversations. They are merely a way to show you love your child, and that you will love them regardless of their behavior.